The game, Magic Castle Slot from IGT is another big-hitting title, which may not blow you away with it’s graphics and animations, but is certainly inviting the high rollers in with a big potential stake per spin and some big potential prizes to be won with up to 150 Free Spins in the bonus round mixed up with some big, big multipliers. Plus you can win extra Free Spins in the bonus round itself with re-triggers brought on by the scatter symbol. This game has a very nice 40 paylines, and a standard 5 reel and 3 row set up. 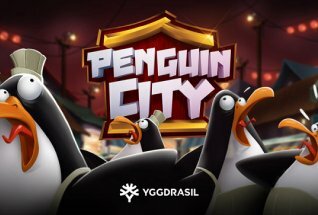 The Magic Castle Slot RTP is on average 95.4%, and the volatility of the game is definitely high, so this will appeal to those with a big bankroll chasing some really big wins. And they are there, they just take some catching. You can play Magic Castle slot on any device – desktop, tablet or mobile – and its available in both real and free play modes. Try it now at one of our favourite casinos – Magical Vegas – or read on to get more of a flavor in our full review. 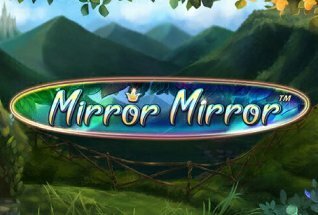 So it’s another mystical slot from IGT, set in the backdrop of a medieval castle, where your hostess is a witch called Leonora. The colors are all rich dark blues and purple velvets and the reels are set around with candles. The symbols take their imagery from witchcraft, with Magic Books, Candles, Jewellery boxes, Goblets, and of course Black Cats. Leonora herself is the Wild Symbol and she triggers a Crystal Ball Multplier that can bring multipliers of 15x. Also, land 5 or her in a row on a payline and win 5,000 coins. The scatter symbol is a moonlit castle and gives you the Free Spins bonus round. So, when choosing your set up bear in mind this is a very high volatility game, so not for the feint-hearted. You can bet from 40p up to a staggering £2,000 per spin. 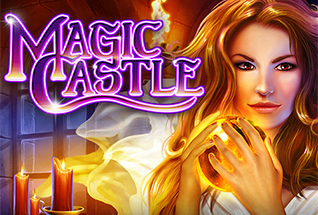 Magical Castle slot will eat through your bankroll at speed before spitting out any prizes, so make sure you’re ready for that, however much you choose to spend. Crystal Ball Multiplier: When the Leonora Wild symbol appears anywhere on any reel in the base game, this feature is triggered. Leonara will look into her Crystal Ball to reveal the multiplier level you get. However, many reels have Wilds on them will determine the level of multiplier. 1 reel with a wild on it can give you a multiplier of x2 to x10, 2 wilds gives you 3x to 10x multipliers, 3 wilds gives you 4x to 10x multipliers, 4 wilds gives you 5x to 10x multipliers, and 5 reels with wilds on give a multiplier of between 6x and 10x. 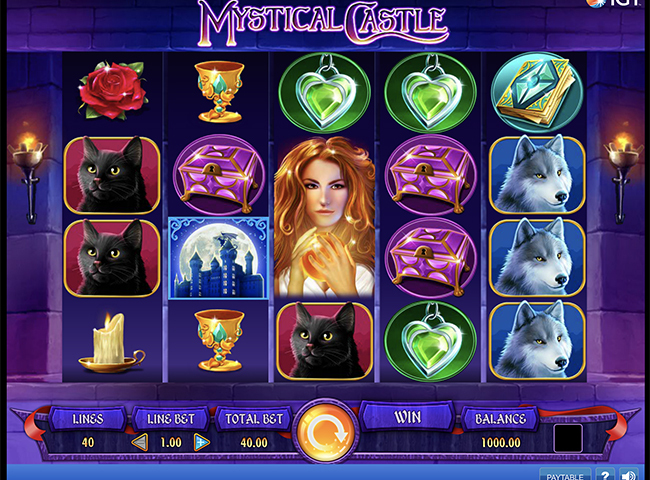 Free Spins Round: This will be triggered by 3 or more of the Moonlit Castle scatter symbols. The symbols must land on reels 2 to 4 and when they do bring on 15 free spins. But it gets exciting when you land a Leonora Wild at the same time – in which case your multiplier is applied to your free spins – so a 10x multiplier on 15 free spins means 150 Free Spins! And what’s more, further multipliers are applied on your Free Spins round – from x2 to x10. And you can trigger Free Spins again by landing 3 more scatters on the middle 3 reels. Familiar Upgrade Feature: As if that’s not enough, The Wild Wolf and Wild Cat are Leonora’s 2 familiars. When the Wild Cat appears on reel 5, all other cat symbols elsewhere turn wild. And the same goes for the Wild Wolf on Reel 5. This really is something of a monster of a slot game. The graphics may not impress that much, but IGT have really delivered when it comes to adding Multipliers and Free Spins together to push for massive wins. 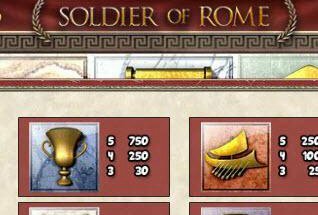 The multipliers come thick and fast, starting with 10x even in the base game. And for those who reach the bonus round, Magic Castle slot has a tidal wave of Free Spins to unleash. Game on!